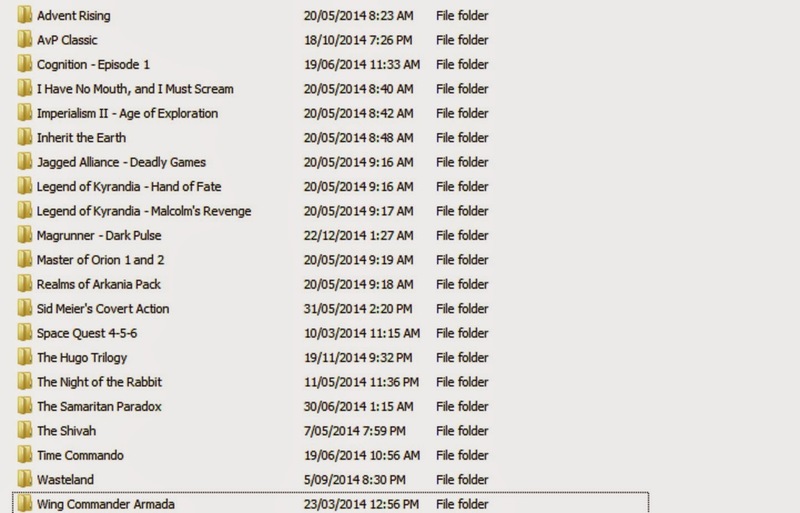 Where do save games reside on your hard disk? Since I'm about to reformat my computer in the next few days I thought just out of curiosity to see where all my game save files reside. This might help others (besides myself) in the future determining where they are since it's pretty annoying when you forget to transfer over a save game when you've already invested 200 hours in a game of Skyrim for example. So let's check out where they tend to store them shall we? If you buy some of your classic PC games from Good Old Games, there's probably a good bunch of them that are DOS games and if they're a DOS games they usually don't save their game in the Windows file structure but within the same directory as the game itself (or perhaps a subdirectory). Consequently, if you're looking for old GOG game save files, this is a good place to look. Games in here include Advent Rising, Magrunner - Dark Pulse, Master of Orion and Sid Meier's Covert Action. While this is a good place to backup your huge Origin games (55.8GB is a lot to download for Battlefield 4) most Origin save games are not found here, at least for their recent games. However, if you happen to have an older game like Command & Conquer for example, they do indeed save their games in this folder. This directory stores a lot of the game data for your Steam games. Consequently some games store their save games within the same directory the game is installed in. Such games that do this are Age of Empires 2 HD, The Stanley Parable, Always Sometimes Monsters and Broken Age. This folder is actually hidden by the operating system by default but some games tend to place save game files in here, games like 7 Grand Steps. 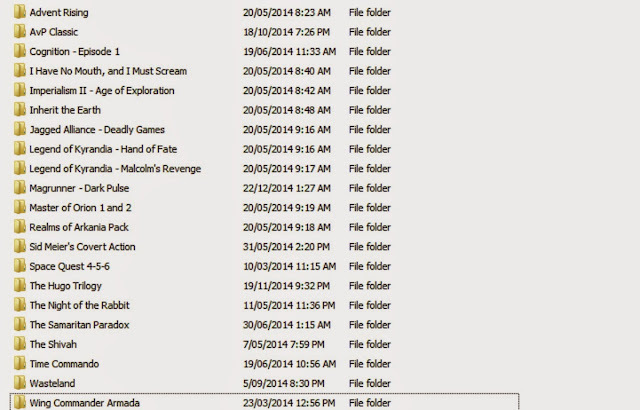 Some save games are stored in your User Directory under a conveniently named folder called "Saved Games". Games that tend to inhabit this folder are ones like Adventure Game Studio adventures Heroine's Quest and The Samaritan Paradox, as well as games like Wargame: Airland Battle, Face Noir and Sid Meier's Ace Patrol. Finally your Documents directory in general for your user tends to have several folders containing save games (especially EA Games) such as Dragon Age Inquisition and The Sims 4. You'll also find save games for games like Hack 'n' Slash, Mars: War Logs, Starcraft II, Shadowgate and many Telltale games like The Walking Dead and The Wolf Among Us. Almost forgot this one! This one can be easy to miss since it's in a hidden folder ("AppData") but many games have savegames in here in the relevant sub-directories. Examples of games that store save game data here include The Banner Saga, Skyborn, Cities in Motion 2 and Moebius: Empire Rising. While this isn't an exhaustive list it does go to show that savegames nowadays are saved all over the shop when it comes to where they are in the file structure. Kind of makes you miss the old days when it was just DOS and everything was saved in the same folder hey?